This year we were delighted to be able to supply the famous Pleasurewood Hills Theme Park in Lowestoft! 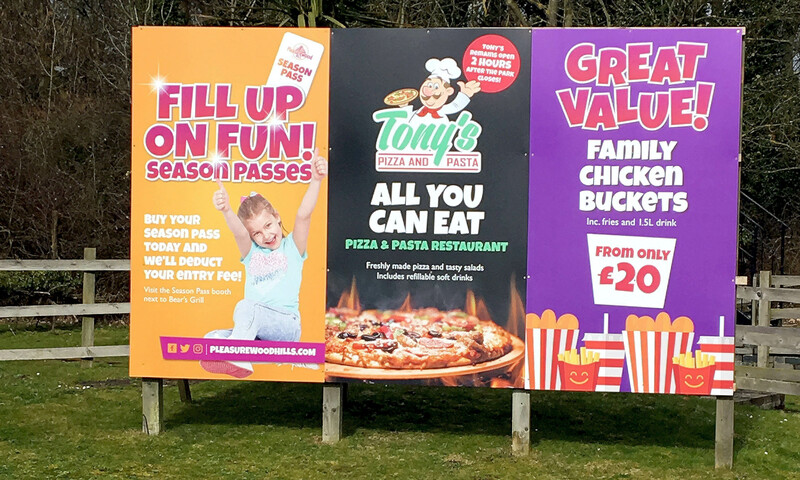 They have been thrilling families for 35 years and remain a family favourite, with a massive footfall through their gates every season, we were asked to provide them with signage, promotional goods and clothing for the parks 2018 season. We began the project last October with a site visit after the park closed for the 2017 season to assess the signage currently in position, and to offer advice to find the best, most cost effective solutions to meet their requirements, as well as proposing new exciting product alternatives that are now available on our Large Format Flatbed Printer! The largest item we supplied to Pleasurewood Hills was a mesh banner to be hung in front of their Wave Breaker water ride which measured a massive 10 metres by 8 metres! 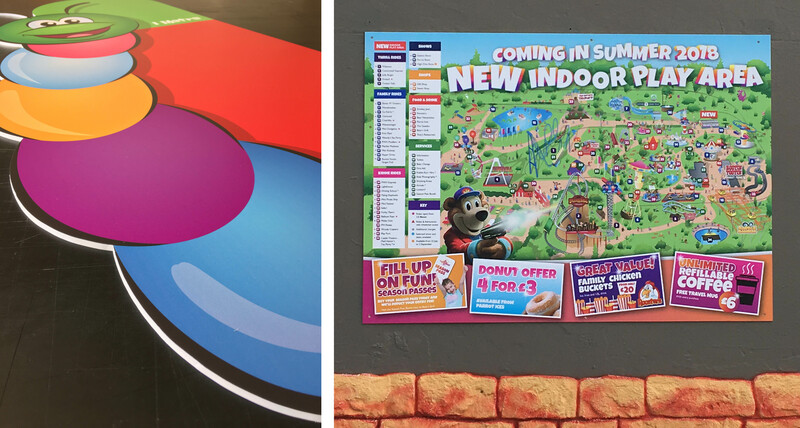 We produced numerous brightly coloured signs, to be displayed throughout the theme park on our new Signracer Large Format Flatbed Printer. The majority of the boards were printed on 5mm Foamex Board, but some of the signs were printed directly onto Plywood! We even hand cut several of the signs to shape, including the caterpillar height boards and the character photography boards. Our promotional products department were delighted to proudly supply a large range of products, including uniforms for staff – which included baseball caps, polo shirts and jackets, as well as, wristbands and flags. 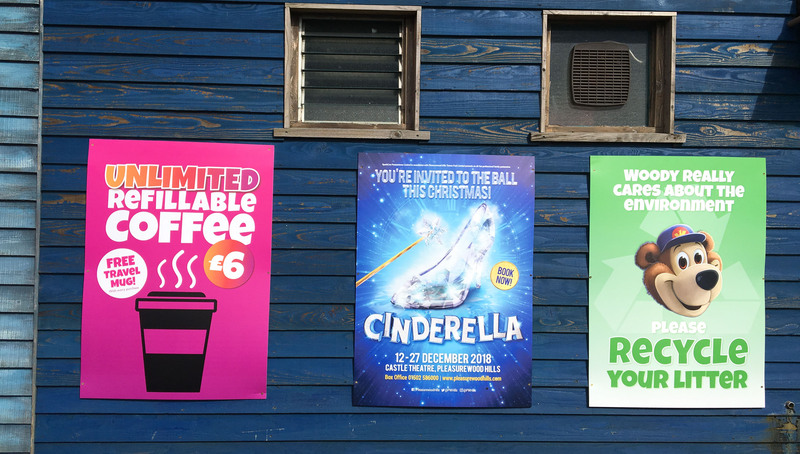 We produced all of the items required for Pleasurewood Hills working to tight deadlines ensuring they had all of the printing and promotional goods they required before opening again for the start of the 2018 season. For more information about our services, request a sample pack, or to receive a quote please use the contact us button and we will be more than happy to help!